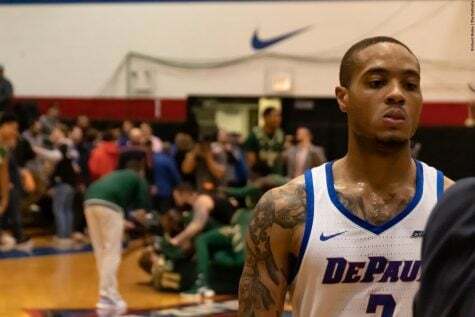 A dress rehearsal for DePaul men’s basketball team not only showed the amount of work that lies ahead, but also where the team can capitalize further. 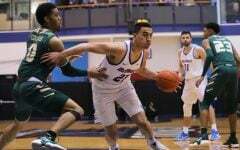 In an exhibition opener against Lewis University, the Blue Demons gave up 52 percent of the shots taken from the Division-2 Flyers. Yet, the communication between the Blue Demons was there. Players were talking and pointing to where they needed to be. 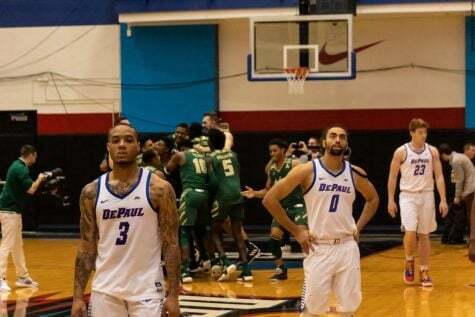 DePaul even had multiple four-minute stretches where they locked down defensively. 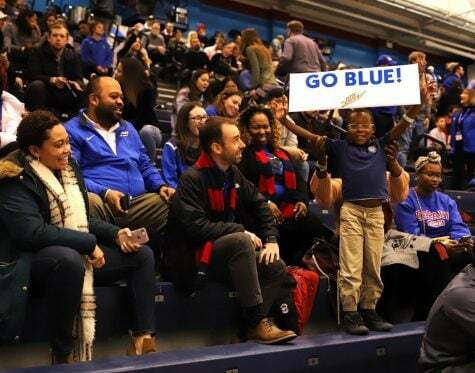 Using a late game push, DePaul men’s basketball avoided an upset Thursday at McGrath-Phillips Arena with a 72-68 victory over Lewis University. 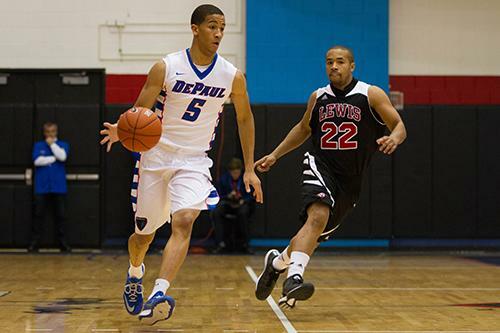 “As usual Lewis gave us a great test,” DePaul head coach Oliver Purnell said. “I thought we had some great defensive sections of the game. I told our team at the half that if we’re going to be a good team, you’re going to have to grind it out for 40 minutes. We clearly didn’t do that. 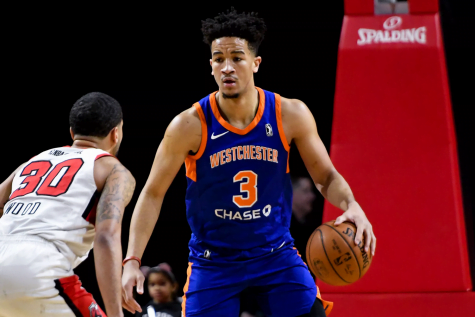 “But at the same time, I thought we had a defensive mentality throughout, which was evident in the last couple sequences,” he said. Forward Jamee Crockett came through with his athleticism as the senior had two huge blocks in the last ten seconds of the game to stop the Flyers from sending it to overtime. Newcomer Myke Henry grabbed the crucial rebound with 1.2 seconds left and the junior hit two free throws to put the game out of reach. 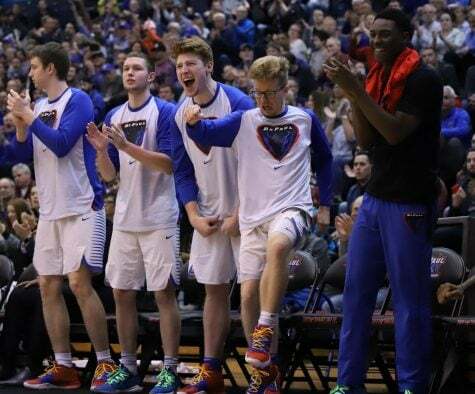 The Blue Demons earned the victory without Billy Garrett Jr., who sat out most of the second half with a leg cramp. Purnell said afterward that the move was most precautionary as he also sat Forrest Robinson and Darrick Wood. Crockett, who appeared much more aggressive, was able to get to the rim and also slash and kick the ball out to his teammates. Crockett finished with 11 points, one assist and three blocks. Crockett also thrived playing next to Henry. 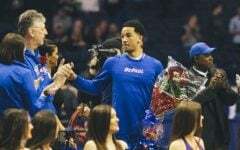 The two teammates previously were competing for the starting small forward spot, but ended up spending a large chunk of their minutes on the floor together. Crockett, who started the game, played 32 minutes while Henry appeared in 29. Henry led the team with 17 points and six rebounds. 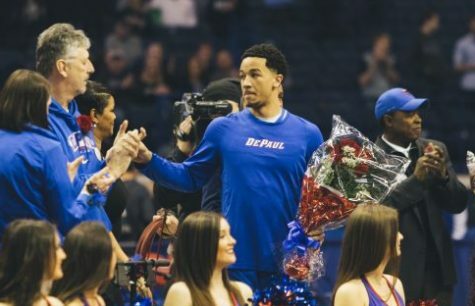 It was the first game for Henry since his transfer to DePaul from Illinois, having to sit out a year due to NCAA eligibility rules. The Blue Demons had their fair share of cobwebs as well. 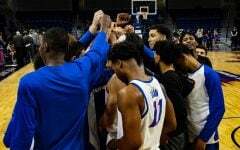 On the offensive side of the ball, the Blue Demons shot just 41 percent in the second half and often settled for long 2-pointers. 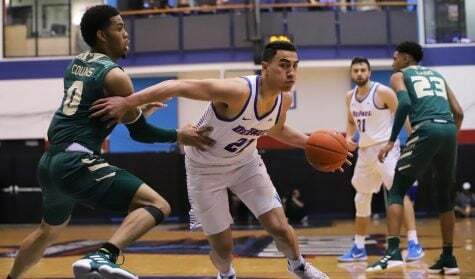 DePaul also had 14 turnovers to just nine assists. Lewis guard Ryan Jackson led his team with 14 points. The Flyers also had 44 points in the paint to DePaul’s 25. 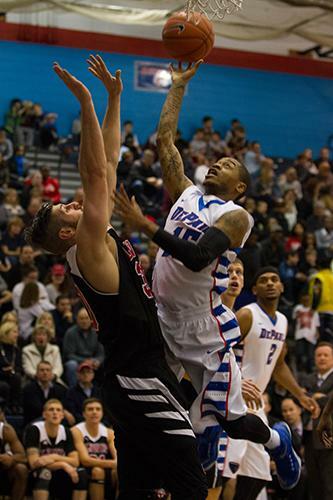 It was driving the ball that sparked a late game push from DePaul. 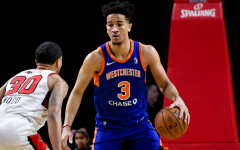 Trailing 58-56 with six minutes left, Henry drove the ball to the basket to pick up the foul and make two free throws. Henry, who went 7-9 from the line, also later converted an and-1 opportunity to put the Blue Demons ahead 68-62 with three minutes left. DePaul’s first regular season game is Nov. 14 at 8 p.m. at McGrath-Phillips Arena where they open against UIC. 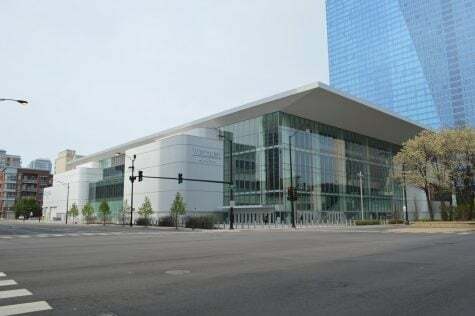 “Avoiding an upset” in the Exhibition Game? 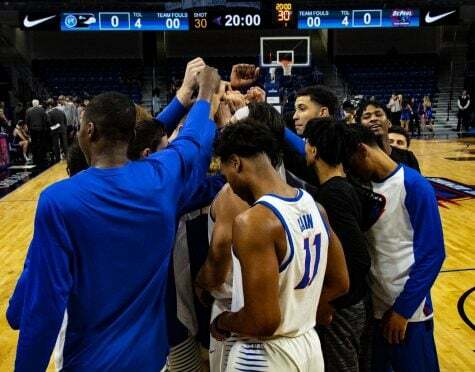 Why did the University choose to keep Oliver Purnell for this season? Because the school has given up on it’s basketball team. It would not bother me if this was done to concentrate more on academics, but that is also not the case.